Sprint has announced another new Windows Phone smartphone for their network, the Samsung ATIV S Neo which will launch on Sprint shortly and will retail for $149.99 on a new two year contract. This price is after a $50 mail in rebate. The Samsung ATIV S Neo is a Windows Phone 8 handset that features a 4.8 inch HD display, processing comes in the form of a dual core 1.4GHz processor and there is also 1gB of RAM. 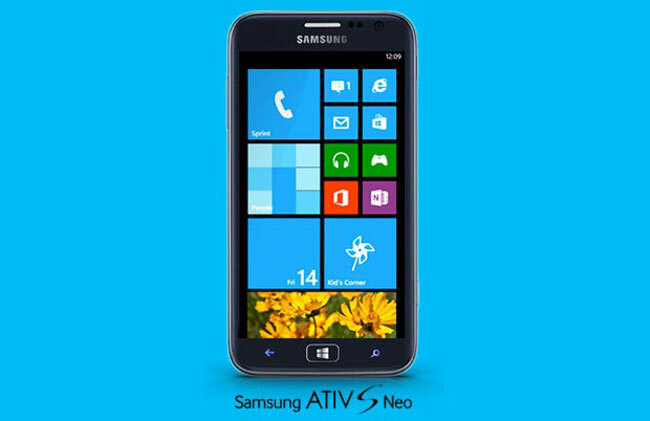 Other specifications on the Samsung ATIV Neo S include a 1.9 megapixel camera up front for video calls. On the back of the handset is an 8 megapixel camera for photos and video. The Samsung ATIV S Neo comes with a number of camera modes, which include Beauty Shot and Manga modes, the handset also features a microSD card slot, Wi-Fi and a 2,000 mAh battery. You can find out more details about the device over at Sprint.